I posted a Tiny Tip recently about how to put your Apple TV and all connected components to sleep with one button press on the Apple TV remote. In the post, I included a screenshot of the Apple TV screen. You might be wondering how I captured it. The other day I launched QuickTime with my iPhone attached via USB in preparation to make a recording of the screen for my latest ScreenCasts Online video. In QuickTime, you can choose New Movie Recording, and then next to the little record button you’ll see a downward chevron which will show you the available video sources. You can select the iPhone and then it becomes a video source to other applications, such as ScreenFlow. 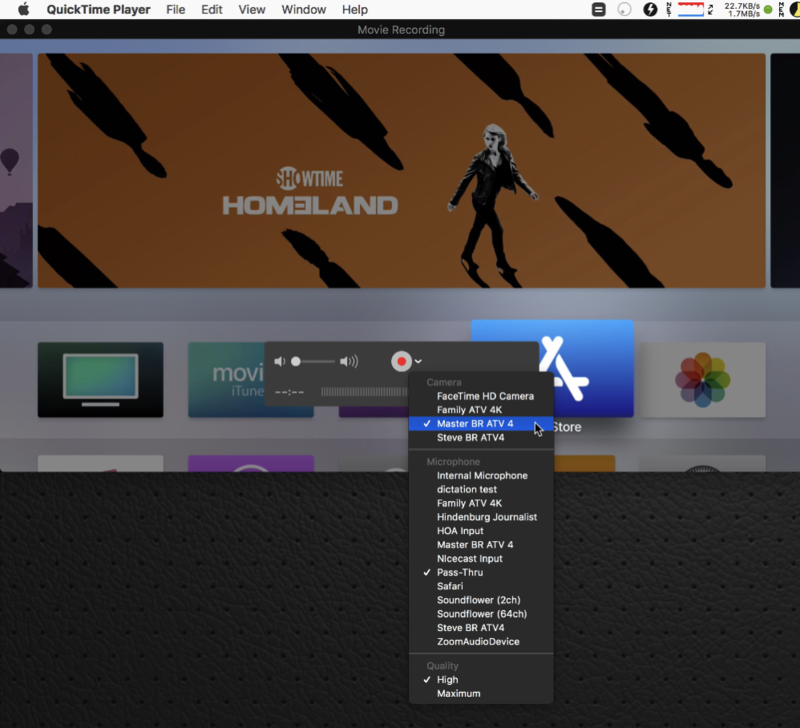 But when I went into QuickTime’s settings, I noticed that my Apple TVs were in the list of video sources. This had to be tested! 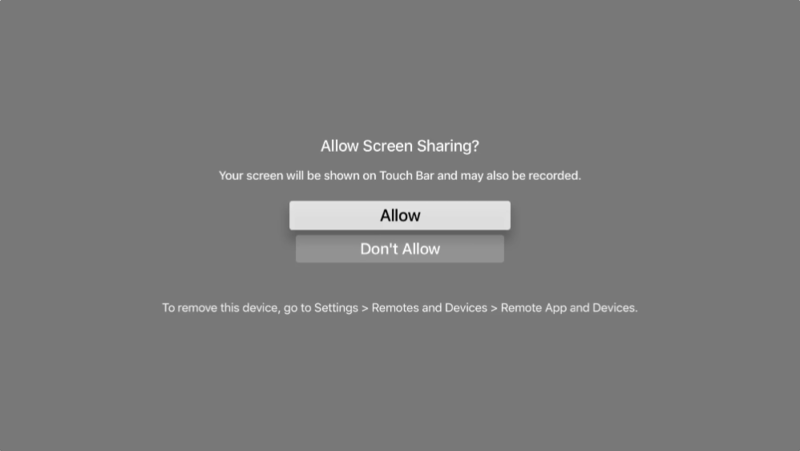 When you select the Apple TV as a video source, on the Apple TV you’ll be asked if you want to allow screen sharing. To proceed, select Allow. I selected the Apple TV 4 in my room and sure enough, I was able to see the Apple TV screen displayed on my Mac in QuickTime. For a brief second, I thought this would be a cool way to watch TV on my Mac, but it’s clumsy because you still have to use the Apple TV remote pointed at the TV, which has to be on of course, so…why not just watch the TV? Now you might be thinking this would be a terrific way to record TV shows say from Netflix on the Apple TV to your Mac. Well of course the copy protection people are smarter than that. As soon as you go into something like Netflix, the screen goes black in QuickTime. I was able to record the audio by setting that source to the Apple TV, but it was choppy as recorded. Oddly it automatically enabled closed captioning so I could tell what I was supposed to be listening to. This would have been a cool feature, but abusers have made sure we can’t have nice things.